HandleBarSTL | BikeBlitz is Back! 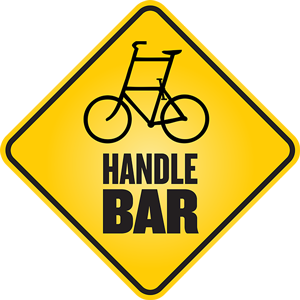 Beat your winter blues at the HandleBar. HandleBar and Spoked Bikes & Stuff are bringing back “BikeBlitz Indoor Sprints” (formerly known as “GoldSprints”) to Wednesday evenings at HandleBar. The game is quite easy – two challengers hop on stationary bikes, and pedal like crazy. A computer program simulates a 250m sprint, and their progress is projected onto a giant screen for spectators. The “race” takes around 15 seconds to complete, the simulation declares a winner, and the next two contestants step up for their turn. The winner of the race gets a free beer, and the fastest rider for the evening will win a gift certificate to Spoked Bikes & Stuff and bragging rights. The event is fun, free, informal, and open to everyone. The launch party for BikeBlitz will take place at the HandleBar on Friday November 13th, and thereafter the sprints will take place every Wednesday night starting at 8pm.